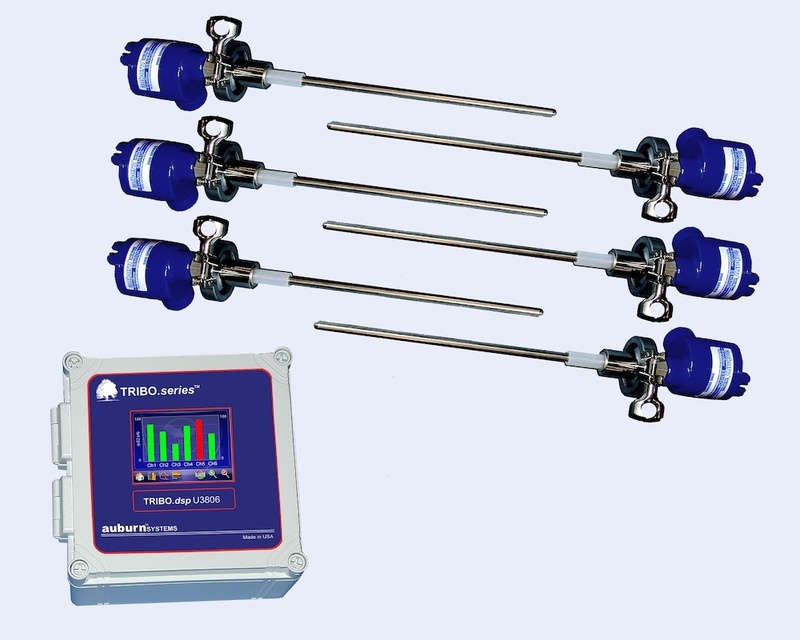 TRIBO.dsp U3800 is a multichannel particulate monitor for emissions or flow applications. Each unit is capable of connecting up to six remote probes. The U3800 has an intuitive industrial grade touch screen, displaying user selectable views such as: line chart; numerical; or bar chart views. he TRIBO.dsp U3800 Multichannel System is the newest of addition to Auburn’s U3000 series. It is our response to address the need for a multi-point monitoring system for operators preferring local monitoring for standalone baghouses, and/or process applications. The U3800 is designed to monitor and record data from up to six independent sensors, displaying and storing data in one central location. The unit also allows for digital communication for connection to PLC, HMI/SCADA and plant automation systems. This allows the U3800 to be ideal for isolated applications as well as being part of an integrated network. TRIBO.vision software is an option in the event that plant software is not available, or when operators prefer to separate manufacturing and environmental data.